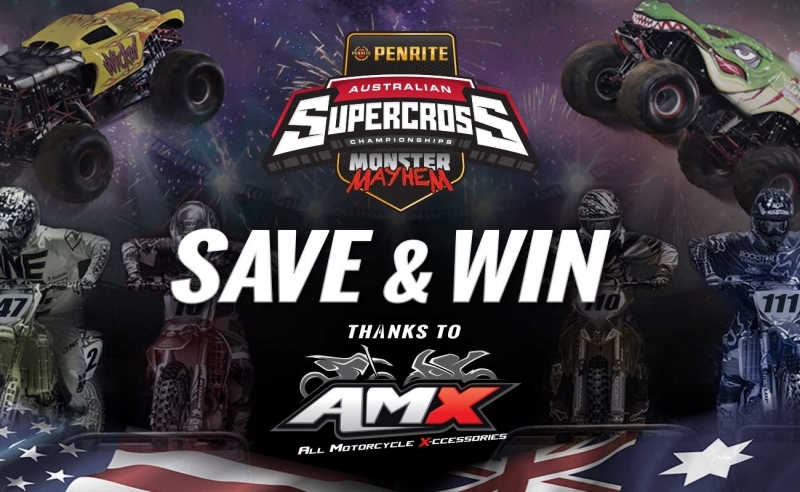 VISIT YOUR LOCAL AMX STORE TO SAVE ON TICKETS TO ROUND 4 AUSTRALIAN SUPERCROSS AT AVALON RACEWAY ON THE 5th NOVEMBER AND SIGN UP INSTORE TO GO IN THE DRAW TO WIN A GAVIN FAITH REPLICA RACE BIKE. 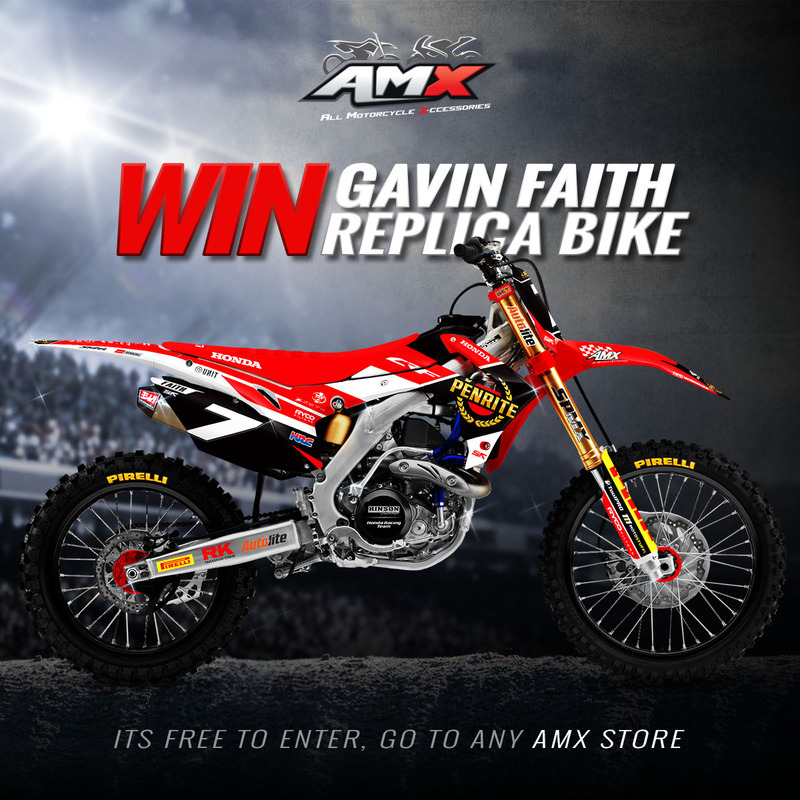 Win a Honda CRF 250R that’s been ridden by Gavin Faith. The race bike comes complete with a Yoshimura exhaust, EZE Wheels and clamps, Pirelli Tyres, SKD replica sticker kit, Topline Seat Cover, Renthal Bars and more. All you need to do is go in to any AMX store and enter. Its free to enter. 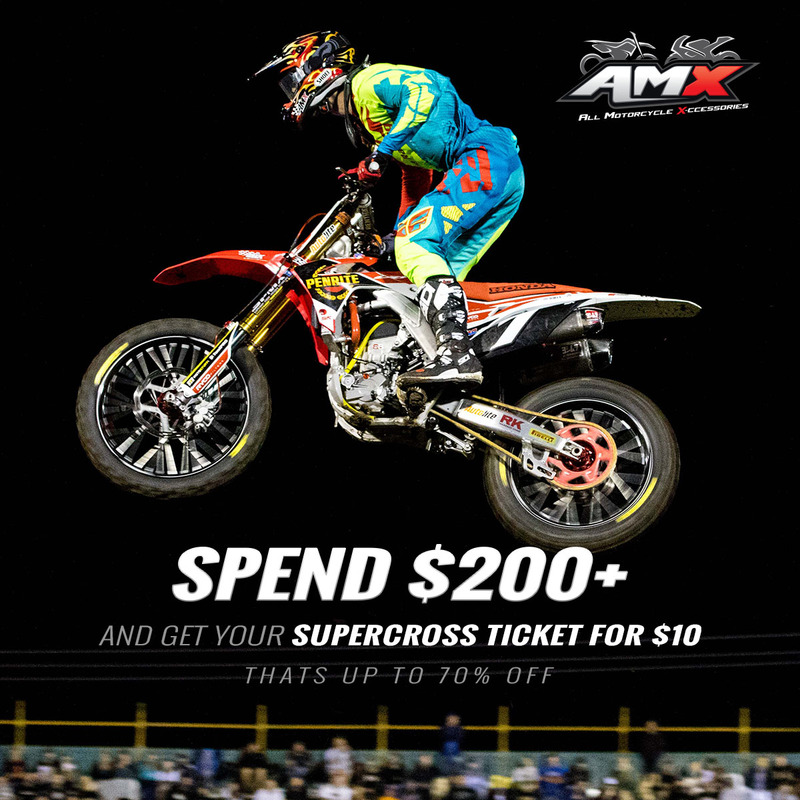 Spend $200 at any AMX store and you can buy your Melbourne Supercross Tickets for $10. That’s up to 70% off. 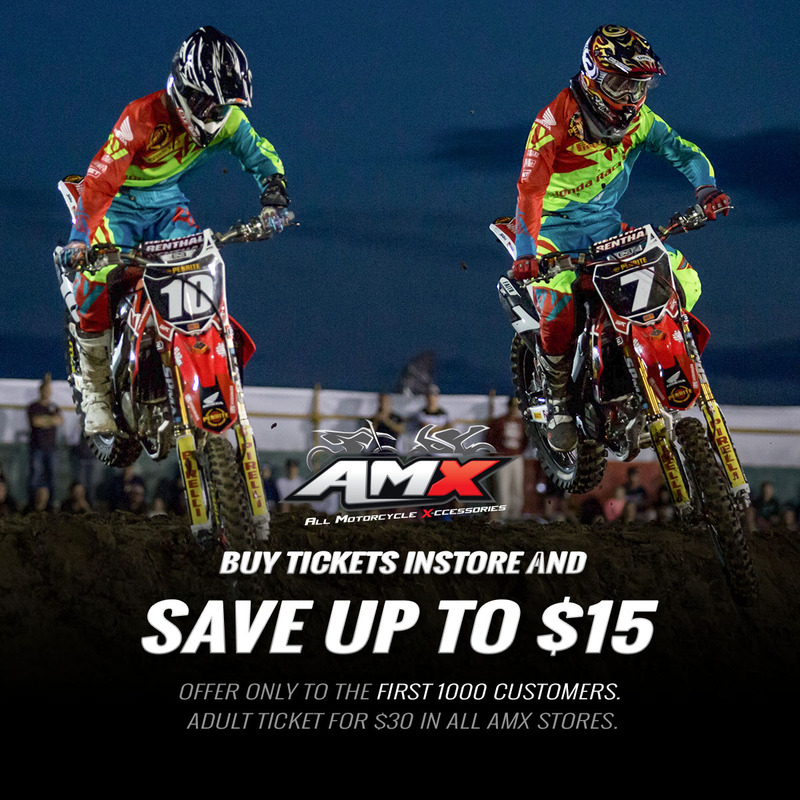 Buy your Supercross tickets from AMX and save. Tickets are $30 at AMX.